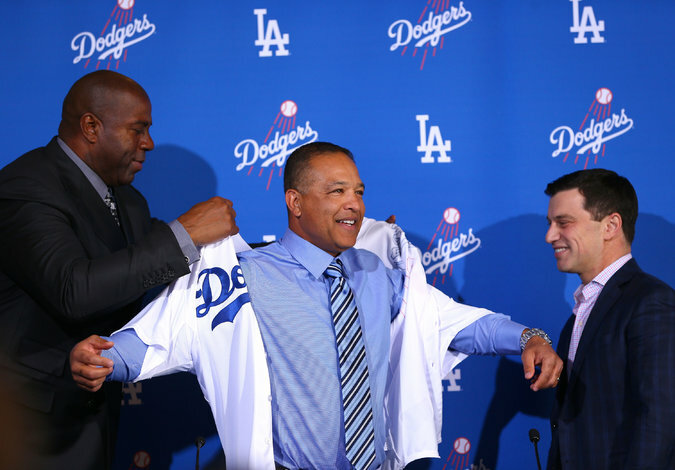 Dave Roberts, the Dodgers’ first minority manager, being introduced Tuesday by Magic Johnson, left, and Andrew Friedman. LOS ANGELES — When Waymon Roberts moved his family around Marine bases, from Okinawa to California, Hawaii and North Carolina, he knew it was not easy, especially for his children. So he regularly repeated a mantra that can be useful for military families. Such pragmatism helped shape his son, Dave, in many ways.